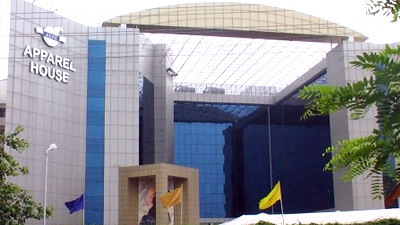 Gurgaon is a city in the Indian state of Haryana located immediately south of the National Capital Territory of Delhi, 32 kilometres southwest of New Delhi and 268 kilometres southwest of Chandigarh, the state capital. 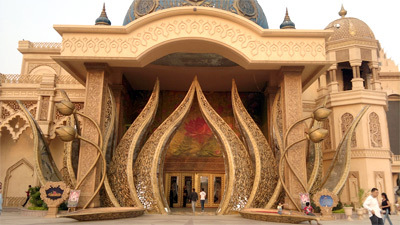 "Kingdom of Dreams is India's first live entertainment, theatre and leisure destination. It is located in Sector 29, Gurgaon in NCR Delhi, near the Leisure Valley Park.Spend a day with ""Bollywood"" at the Kingdom of Dreams - an entertainment destination just 15 minutes from the hotel. Experience the performance of Zangoora – a musical bringing the glamour and panache of ""Bollywood"" into a truly enchanting theatre production. This experience is available only in the evening. Kingdom of Dreams remains closed on Mondays. Duration: 2 hours"
"Sultanpur National Park is a bird paradise for bird watchers. 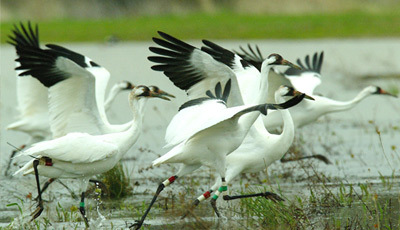 Park is famous for its migratory as well as resident birds. Migratory species reach here after covering incredible distance, since there home land in Europe, Siberia and Central Asia becomes inhabitable due to cold temperature, snow covered ground and frozen lakes. Migratory birds start arriving in the park in September. Birds use park as a resting place till the following March-April. During summer and monsoon months the park is inhabited by many local bird species. A total of around 250 bird species have been reported in the park. "Curiosity, the passion to collect homogenous objects, the search for the rare, unique and often elusive is what impassions all collectors. Visit India’s first comprehensive transport museum that has been conceived to document, exhibit and educate us on transportation in India over the ages. 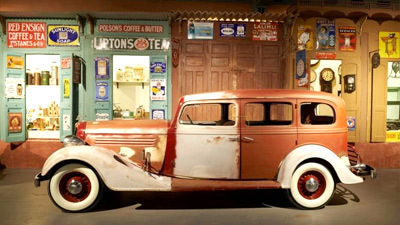 Complete with interactive displays, carefully preserved objects and working models of classic and vintage cars, you will feel transported in time as you take a specially curated tour of the facility. Expected time taken- 3 hours . Gurgaon has something for every choice and taste. If you are an art lover then Epicenter is the best entertainment option for you. Epicenter has everything that a person with artistic bend of mind can look forward to – auditorium, art gallery, amphitheatre, Plays, music recitals, classical dance performances, and exhibitions are staged here on a regular basis. 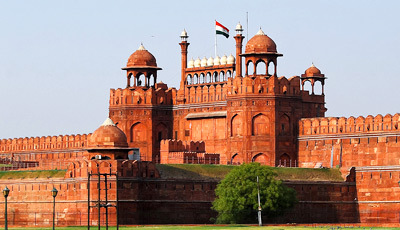 Delhi is the place which has a high esteem history and culture to boast on. 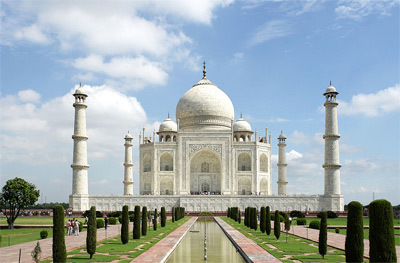 Historical monuments and ancient architecture makes the city a sought after destination for tourists and connoisseurs. It's culture has been influenced by its lengthy history and historic association as the capital of India. This is exemplified by the many monuments of significance found in the city.Capture your memories while sightseeing in Delhi .The full day tour is for approximately 9 hours and covers various parts of Old and New Delhi. The seat of the Mughal Empire, it is a huge fort housing within its precincts imposing palaces and impressive public buildings, such as Diwan-i-Am (hall for public audience), Diwan-i-Khas (hall for private audience); Rang Mahal (a water-cooled apartment for royal ladies); Sheesh Mahal (retiring apartments); Moti Masjid or Pearl Mosque (built of white marble). A sound-and-light show is conducted during the evenings (in Hindi and in English). 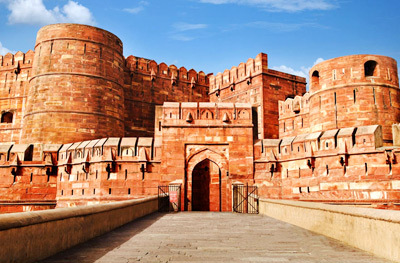 The Red Fort is a 50 minute drive from the hotel. It’s a five storey 72.5 metre high minaret made of red sandstone, was began by Qutab-ud-din-Aibak to symbolise justice, sovereignty & Islam. Three storeys after the first storey were built by his Son-in-law Iltutuish & last two by Feroz Shah Tuglaq. The Qutab Minar is a 33 minute drive from the hotel. "Completed in 1986, the Bahai temple is set amidst pools and gardens, and adherents of any faith are free to visit the temple and pray or meditate silently according to their own religion. 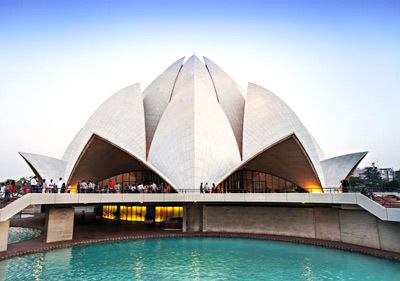 The structure is in lotus shape so it often called the lotus temple. The view of the temple is very spectacular just before dusk when the temple is flood lit. The Bahai Temple is a 43 minute drive from the hotel. All days of the week except Monday"
A war memorial located in the centre of New Delhi, India Gate is a place of national pride. The foundation of India Gate was laid by the Duke of Connaught in 1921. 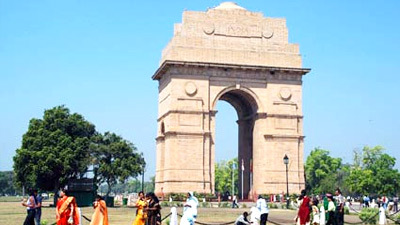 India Gate is a 42 minute drive from the hotel. Cover the best of India with a visit to the Golden Triangle covering the three most famous cities in India – Delhi, Jaipur and Agra – with their rich heritage and plenty of sights to discover. Explore the wonders from the old corners of Delhi to the millennium city of Gurgaon.Carry on to Agra, one the most popular tourist destinations in the world and the homeland of the most memorable monument of all time, The Taj Mahal. 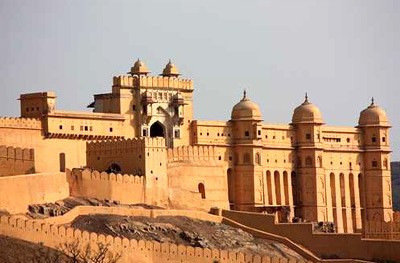 Soak in the culture of the Mughal emperors and witness their lives up close.Move on to the Pink City, also known as Jaipur, to witness beautiful colours, attractive monuments and beautiful heritage sights.